Depression and Heart Disease, Ever drown your sorrows in a big bowl of ice cream? When you’re feeling down, it’s easy to reach for your favorite comfort food. But thinking about your heart health is important, even when you’re not feeling too chipper. That’s often easier said than done, said Nieca Goldberg, M.D., medical director of the Joan H. Tisch Center for Women’s Health at NYU Langone Medical Center in New York. But it’s also important, because heart disease is the No. 1 killer of all Americans. Depression is reported in an estimated 1 in 10 of Americans ages 18 and older, and the figure can be as high as 33 percent for heart attack patients. But just feeling down can lead to changes that can affect your health, and not just because you may fall into habits that are bad for your hearth, Dr. Goldberg said. If you’re struggling with stress or anxiety, Dr. Goldberg said that taking three key steps can help. Identify the cause of your stress or anxiety and address it. Seek therapy if necessary. “If you’re feeling down for a couple days, that’s OK, but if it goes on for weeks, you need to seek help,” Dr. Goldberg said. Choose healthy habits and don’t rush it. If you aren’t in the habit of exercising, start gradually rather than putting pressure on yourself to get back to a rigorous routine. Exercise is especially important when you’re struggling with work, family and other life stresses, Dr. Goldberg said. In addition to being good for your heart health, “exercise can be a means to making you feel better,” she said. “Some people respond to stressful situations by eating because they’re so stressed out and that’s something that gives them pleasure and relaxes them,” Dr. Goldberg said. If reaching for unhealthy foods has become a habit, try using healthier cooking techniques or substituting ingredients to cut down on fat, added sugar, sodium and calories. Try reaching for healthy snacks, or choose undressed salads and other healthy dishes when dining out. Fresh fruits and vegetables are a nutritious and satisfying snack. Incorporate other unhealthy lifestyle habits one a time instead of trying to “fix” everything at once.That’s especially true if one of the habits you want to break is a smoking habit. “Quitting smoking is a big deal and difficult to break,” Dr. Goldberg said. Learn about Life’s Simple 7 keys to prevention and how to get heart healthy one step at a time. Ultimately, you have to take care of yourself to break the cycle of feeling down. That could be doing something structured, like a yoga class or tai chi practice, or something you can do anywhere, such as a few minutes of meditation, listening to music or reading a book. “Even taking a bath can help,” Dr. Goldberg said. “Just take some time and relax. Author ChallengePosted on 10 April 2018 Categories HealthLeave a comment on How does depression affect the heart? This is where we do traditional exercises with a twist—for example, using one dumbbell instead of two in a lunge or shoulder press. Basically, we off set the center of gravity and force the core to work harder than it would with a traditional exercise. Sample movements would be suitcase walks (a farmer’s walk, like strongmen do, but holding only one dumbbell), Turkish getups, and various lunges and presses with uneven loads (one heavier dumbbell in one hand or weight on one side and not the other). Older adults experienced less pain, reduced stiffness and less fatigue after participating in a hospital-based exercise program, researchers report. “The study adds to the growing body of evidence that exercise can help people with muscle and joint conditions,” said one clinician. “The study adds to the growing body of evidence that exercise can help people with muscle and joint conditions,” said Sandra Goldsmith, MA, MS, RD, director of Public and Patient Education at Hospital for Special Surgery. A total of 1,400 adults participated in various exercise programs at the hospital during the course of the study, which began in 2011. The low-cost classes, led by certified instructors, included pilates mat, therapeutic yoga, yoga-lates (a combination of yoga and pilates), t’ai chi and dance. Classes met once each week and were open to the general public. 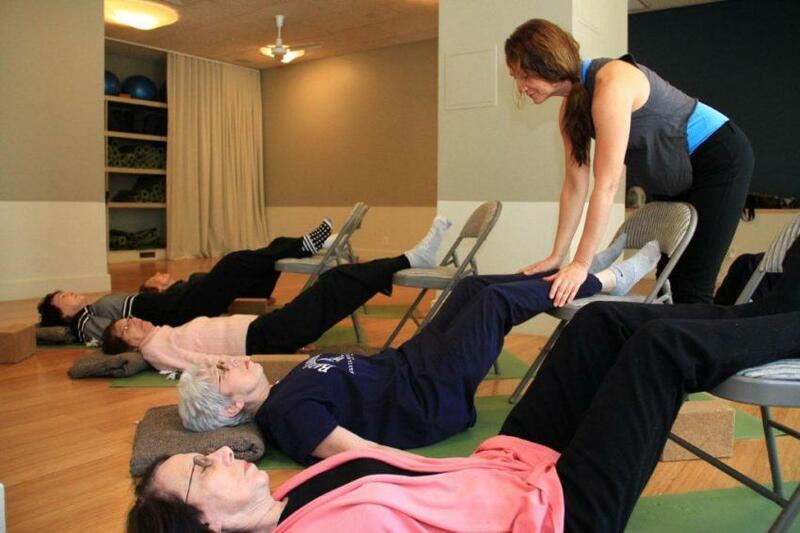 “Our data indicate that hospital-based programs can play an important role in pain relief, improved quality of life and improved levels of physical activity in older individuals with musculoskeletal conditions,” Ms. Goldsmith said. The research was presented at the American Public Health Association annual meeting in November. “Often patients with musculoskeletal disease are more deconditioned than their disease-free counterparts. Strengthening the muscles around an arthritic joint has been shown to slow the progression of osteoarthritis and reduce pain,” said Linda Russell, MD, a rheumatologist and member of the Community Benefit & Services Committee of the Board of Trustees at Hospital for Special Surgery. WITH SO MANY “get ripped yesterday” and “lose 50 pounds by tomorrow” schemes out there, it’s tempting to keep looking for that easy way to lean out. But, even extreme plans that seem to work for a while are fraught with trouble. The reality: If you really want to be a slimmer you, you’ll be making some habit changes in terms of how you eat and move. “Lifestyle changes are the best way to improve health and manage weight long term,” says Donald Hensrud, M.D., M.P.H., director of the Mayo Clinic Healthy Living Program and editor of The Mayo Clinic Diet Book and The Mayo Clinic Cookbook Here are some of the most effective tips and tricks for changing your lifestyle and droppping those extra pounds. The good news: If you really want to succeed, you won’t be going on a diet. “When someone undertakes a program with the typical approach to diet, they do something that’s very restrictive and drudgery but they think, ‘If I can just do this until I lose the weight, I’ll be fine.’” Hensrud says. “But if it’s negative and restrictive, it’s temporary.” The potentially less-good news (if you’re resistant to change): You will likely have to modify what you eat, how much you eat, or (probably) both. “Accept that calories count.” Hensrud says. “This is basic, but there are many fads out there that say they don’t.” By the numbers, one pound of fat equals 3,500 calories. So in order to lose a pound per week, you’d have to reduce your calorie intake by 500 calories a day. This doesn’t mean that you need to count every morsel that goes into your mouth (though if you’re into that sort of thing, feel free). Rather, you need to understand calorie density versus nutrient density. Foods that are calorie-dense tend to be high in fat (after all, there are 9 calories per gram of it) and/or full of “empty” calories—as in, ones that don’t provide much nutrition (sorry, French fries, candy bars, and soda). On the other hand, nutrient-dense foods have lots of good vitamins and minerals for their calorie load. The best ones also have fiber, protein, and/or “good” fat content, which will keep you fuller longer (which is another reason that sugar-laden juice should probably be limited). Hello, veggies, fruits, whole grains, lean fish, chicken, beans, and nuts. Vegetables are particularly nutrient dense, especially those that are vividly colored, like dark greens and bright red tomatoes. Greens like kale and cruciferous veggies like broccoli and Brussels sprouts are high in fiber, which will fill you up. Fruit is a great choice, too, and though it is higher in sugar, the fiber content tends to offset that in terms of preventing a blood sugar spike. The color rule applies here, too, with brilliant berries leading the pack in terms of nutrient density. Still, watch your portions if your main goal is weight loss. Whole grains are fiber-rich and provide necessary nutrients such as B vitamins and magnesium, and yes, even protein. Wheat, oats, and brown rice may be most common, but get creative with quinoa (a particularly good source of protein), amaranth, buckwheat, and teff. Lean fish, such as wild-caught salmon, rainbow trout, and sardines are low in mercury and high in Omega 3s and, of course, protein. Boneless, skinless chicken breast is one of the best bangs for your buck in terms of protein content, with 27 grams in a 4-ounce serving. Beans are both low in calories yet very filling, being high in fiber and protein (how’s that for nutrient-dense?). Top choices include black beans, kidney beans, lentils, and chickpeas—but really any are worth your while. Nuts are best enjoyed in moderation on account of their relatively high fat content, which makes them more caloric ounce for ounce than other healthy picks. Stick to the serving sizes (usually an ounce) and you’ll reap the benefits of their wide array of nutrients and their satiating abilities. Especially good picks are almonds, cashews, and pistachios. Here’s our comprehensive list of the 103 best foods for weight loss, according to nutritionists. Candy. Kinda a no-brainer, since it’s either all sugar or sugar and fat. Still need your sweet fix? Get down with fun size—and stick to one at a time. Pastries. A combo of sugar, fat, and refined flour—yeah, not so great for the waistline. And, unfortunately, that danish containing apples or the pie made of blueberries aren’t any better. Deep-fried…anything. 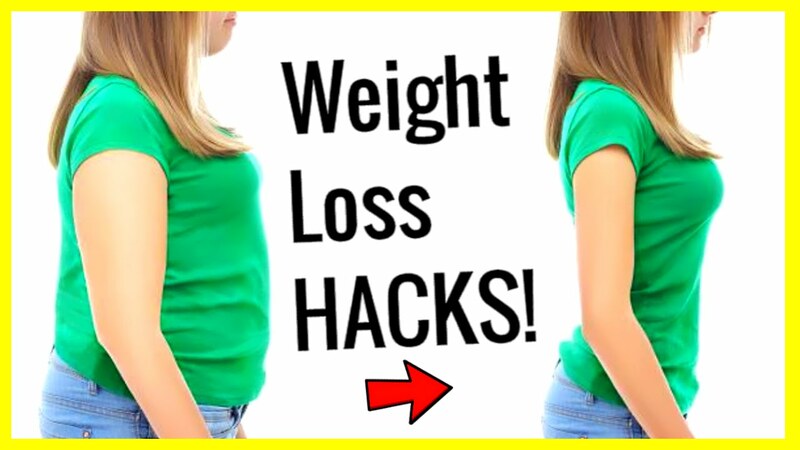 Oil soaking into those potatoes and breadings might taste great… but it’s not filling and certainly won’t help you towards your weight loss goals. Chips. Ones that are fried or cheese-powder-coated certainly don’t scream good for you, but even the ones that purport to be “healthy” by being baked or made of, say, sweet potatoes, still are mostly empty calories. After reading all that, you may still think you have some major dietary changes to make. Before you freak out, start by taking inventory of exactly what you’re eating, including portion size. An app like MyFitnessPal can make logging easier, with its extensive database, barcode scanner, and “memory” of most-used foods (we’re creatures of habit, after all). If you’re not good at estimating how much you ate (and studies show that most people aren’t), measure your food until you’re better at eyeballing it. And don’t ignore the calories you drink (soda, juice, beer), which Jackson says are easy ones to cut down on right off the bat. Once you know where you’re starting, you can make changes—slowly. “Try adding one more serving of fruit and one more of veggies, and one less of meat each day,” suggest Hensrud. Gradually, the goal is to have the nutrient-dense foods you add crowd out the calorie-dense ones you should limit, so you can eat plenty of food and feel full but consume fewer overall calories. When it comes to weight loss, what you eat (and don’t eat) is far more important than your exercise plan. However, the more you move, the more calories you’ll burn, which will set you up for greater success. 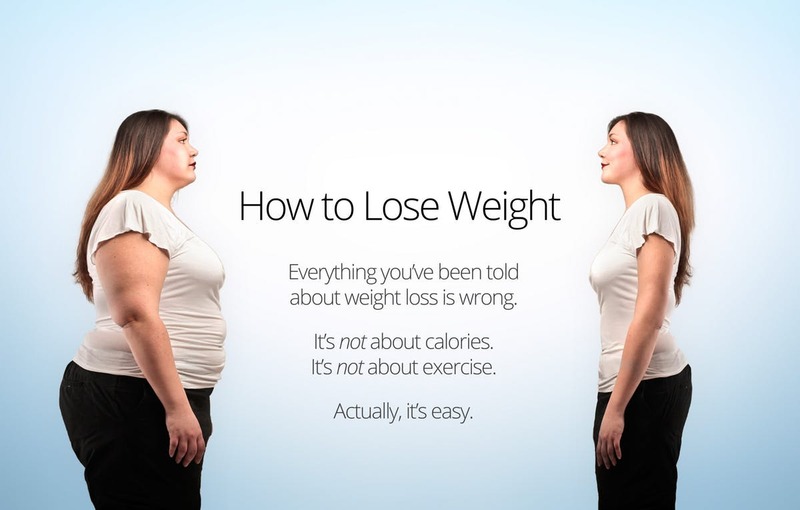 Also, you’ll develop fitness habits that will be essential for maintaining that weight loss once you reach your goal. If you’ve been totally sedentary, that means starting by getting up off your duff more. Set a timer to go off every 50 minutes and stand up, walk around, move a little. Studies have shown time and again that people who are naturally thinner move more—up to two hours a day. This timer deal will get you there. Once some of the weight is gone and you’re feeling stronger, you can increase your strength-training intensity, taking shorter breaks between the exercises, which will increase the aerobic benefits. You may also add in one or two higher-impact cardio days, such as incline walking or running, cycling, or rowing. Start with steady-state workouts, where you go at the same pace for a half hour to 45 minutes, then play with intervals of exertion and recovery, which are higher intensity and have more calorie-burning benefits. Keep the higher-impact portion shorter than the recovery at first—say 30 seconds or a minute on, 1 to 3 minutes off—and then gradually decrease the recovery. When you’re ready, you can then increase the push until you’re at even time. 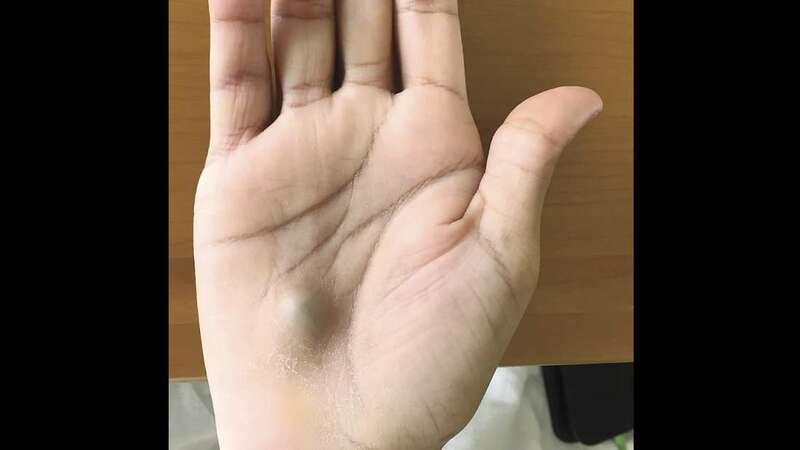 A pulsing lesion on a young man’s hand proved to be an unusual clue that a cardiac infection called endocarditis was insidiously spreading through his body. The medical puzzle unfolded after the 27-year-old patient arrived at a Canadian emergency room with an oddly painful and pulsing palm, abdominal pain, and complaints of a six-week history of fever, night sweats, decreased appetite, and a 12-kilogram (26-pound) weight loss. Physicians, who later reported the case to The New England Journal of Medicine, immediately began a series of examinations that revealed a worrisome heart murmur and abnormally high amounts of white blood cells. Upon closer inspection of the heart using an echocardiogram, the doctors found a large mass partially blocking the aortic valve. CT scans showed that the mysterious lump was actually an ulnar-artery mycotic aneurysm – a swollen area on one of the hand’s main blood vessels – and that tissue in the spleen and one of the kidneys had died due to lack of oxygen. Taken together, the diverse symptoms pointed clearly to endocarditis, a condition that arises when bacteria circulating throughout the bloodstream become attached to the lining of heart valves in clumps called vegetations. These vegetations can break off and travel through the arteries until they become wedged in place – forming an aneurysm. In the meantime, smaller pockets of infection distributed throughout the body send the immune system into overdrive, leading to the flu-like symptoms of night sweats and weight loss. A culture of blood taken when the patient first came to the hospital later identified the bacterial culprit as a strain of Streptococcus commonly found in the mouth. As to how the patient developed a potentially deadly infection, the physicians highlight the well-known pathway wherein bacteria in the mouth are introduced into the bloodstream through openings in the gums and teeth created by poor oral hygiene and dental procedures. This can transport species that are harmless to the digestive tract into an internal environment where they can cause a real damage. Thankfully, endocarditis rarely occurs due to bad flossing habits or an occasional root canal alone. 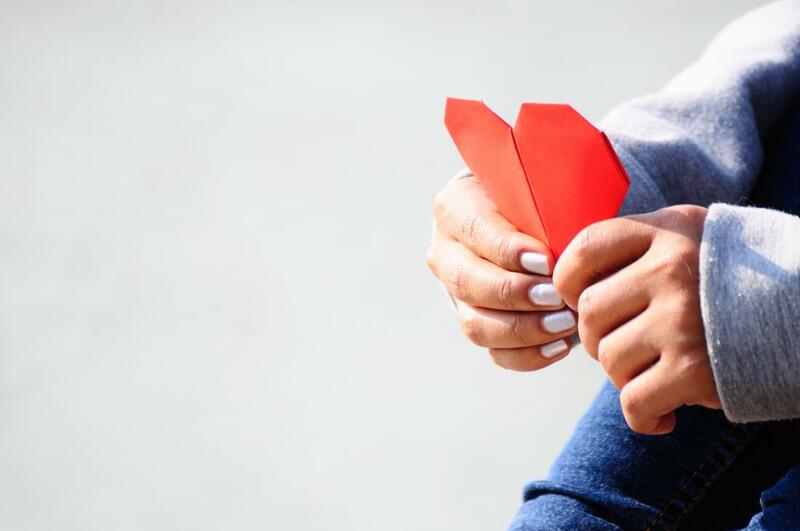 People with congenital heart defects or cardiac implants are at much higher risk for the infection because they have unusual anatomy, scar tissue, or medical devices that allows bacteria to stick onto their valves more easily. The unfortunate patient was a three strikes scenario: In addition to a history of both neglected gums and a recent dental procedure, he had been living with an undiagnosed yet mild heart irregularity. His aorta, the site of his endocarditis clump, has only two valves instead of the normal three. After surgeries to replace the aorta and repair the ulnar aneurysm, plus a course of antibiotics, the patient made a full recovery. In the future, his condition will necessitate that he takes antibiotics prior to going to the dentist. You’ve seen that person before: Strolling into the gym with a Starbucks cup in hand, then proceeding to bust out a PR on their deadlift. Or the one sipping their coffee mug before acing a sprint workout on the treadmill. Turns out they’ve been onto something. Research shows that downing a cup of joe before your sweat sesh can boost your performance. “Caffeine is a stimulant that acts on the central nervous system, the heart, and possibly the ‘center’ that controls blood pressure,” all of which play a vital role in helping your mind and body push harder in a workout, says Heidi Skolnik, M.S., a sports nutritionist and owner of Nutrition Conditioning, Inc. “It can also increase the release of feel-good neurotransmitters like dopamine, which effects pain receptors and mood” while you’re working out. In other words, you’ll actually enjoy getting sweaty and it will feel easier when you’re powering through those last few reps. Plus, researchers found that when people caffeinated before a workout, they ate 72 fewer calories later in the day and had an easier time keeping cravings in check. Not a bad deal. Here’s how you, too, can make the most of your next brew. Enjoy an a.m. cappuccino before the gym? Skolnik says timing can play an important role in your overall performance. “Caffeine is quickly absorbed from the stomach within 15 to 45 minutes of consumption, but it hits its peak stimulatory effects between 30 and 75 minutes,” she says. Drinking a cup about one hour before you work out is optimal, Skolnik says. You’ll want more fluids than just an eight-ounce mug of joe to get adequately prepped, though. Chasing your brew with some water is key if you’re not getting to your workout right away. “Coffee counts as a fluid,” says Skolnik, but you’ll still want some additional liquid in your tank. If you have an hour or two before your workout, pair your java with seven to 12 ounces of water. And if you usually take your coffee black, you might want to consider adding milk to your mug. Whether you choose real dairy or soy, you’ll get an extra hit of protein and carbs. Those nutrients can help boost blood sugar after a night of sleep, and can also rev your mental engine to help get your head around tough tasks (think: box jumps), Skolnik adds. Bad news for night owls: If you lace up more often in the afternoon or evening, you might have to miss out on the workout-boosting benefits of coffee. 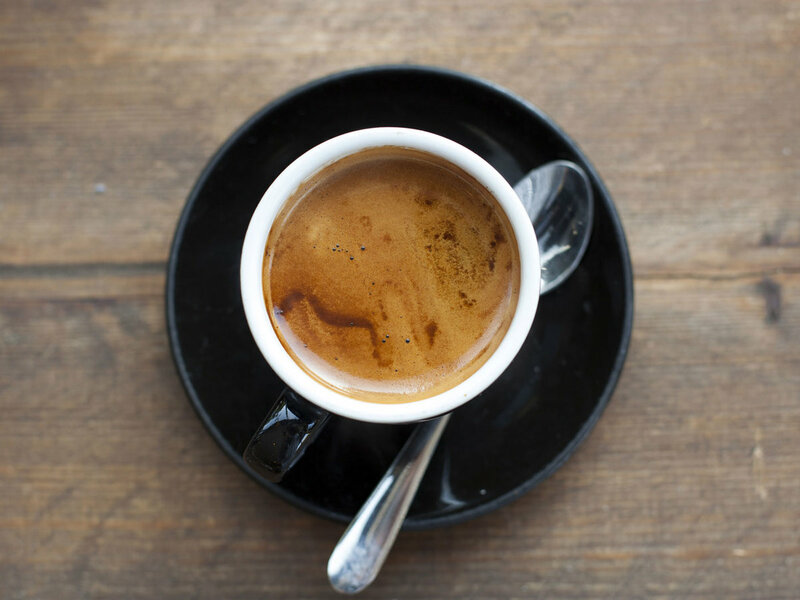 Caffeine stays in your system for four to six hours after drinking, says Skolnik. But it affects everyone differently. Having some before your 7 p.m. workout may be just fine, whereas your running BFF could do the exact same thing and find herself unable to sleep at 1a.m. Researchers think that’s because a person’s genetic makeup, body weight and age all play a role in how our enzymes break down caffeine. Whatever you do, don’t sacrifice sleep for a caffeine fix. Shut-eye is “imperative for recovery, appetite regulation and more,” says Skolnik. If you’re unable to fall asleep at your desired bedtime, then she suggests skipping the stimulant or switching to a.m. workouts. That said, you can also try changing your roast for a shorter-lasting buzz. Dark roast coffee can have less caffeine than a light one. (Smaller light roasted beans mean you get more beans, i.e. more caffeine, per scoop.) Cold brew coffee tends to have less caffeine, too. Tea is another option that can provide less of a jolt — black tea has 14 to 70 mg of caffeine in an eight-ounce cup compared to 95 to 200 mg in the same size cup of coffee. Skolnik says most people only need 250 to 300 mg of caffeine per day to feel its performance-enhancing effect (though it varies based on your body weight and your fitness goals). So opting for a smaller dose could be the best way to get the biggest bang for your, er, mug without foregoing coffee completely. A new study has found that mothers of babies in households with food insecurity are less likely to breastfeed exclusively for the recommended six months after birth. The study, published Monday in the Canadian Medical Association Journal, found that half of the women who lived in households with food insecurity — inadequate or unpredictable access to food because of financial issues — stopped giving their baby only breast milk by the time the child was two months of age. Of mothers in homes where food security was not an issue, fewer than 40 per cent stopped. The researchers, including associate professor Lesley Frank of Acadia University’s sociology department, used data from 10,450 women who participated in the Canadian Community Health Survey between 2005 and 2014. Of those respondents, 17 per cent lived in households with some level of food insecurity. The study found that most women initiated breastfeeding: 91.6 per cent of those with food security, 88.8 per cent of those with marginal food insecurity, 83.3 per cent of those with moderate food insecurity and 86 per cent of those with severe food insecurity. Stopping exclusive breastfeeding can be problematic because infants and babies may miss out on the physical and emotional benefits, but formula-feeding is an additional financial burden for families. “It seems kind of counter-intuitive that a mom who lives in a food-insecure household would not breastfeed,” Frank said Tuesday. While the study only looked at the association between food insecurity status and the initiation of breastfeeding and length of time of exclusive breastfeeing, Frank has spent years studying the reasons women with limited finances stop. She said that in interviewing women across the province as part of her own research, she found that the two main reasons for wanting to breastfeed was because they believed it was the best option for the baby’s health, and because they felt it was the only affordable option. She said women were also nutritionally concerned about the quality of their breast milk if they weren’t eating very much themselves. She said food insecurity could be a stress factor as well. That means their milk supply decreases and they move on to infant formula either exclusively or as a supplement, which is not really affordable for someone with financial restrictions. Frank said that leads to mothers prioritizing the purchase of formula at the expense of other people in the household. Frank said infant food security depends on maternal food security. She said maternity leave, which only covers a bit more than half a mother’s pay, does not help, and for someone only making minimum wage, extended parental leave “only means that you’re poor longer. She said she thinks the solutions are income-based. “It’s not making food banks better and having access to formula in food banks. That is not the organization that should be dealing with this issue,” she said. Better access to maternity leave, or income supplement programs for new and expecting mothers, would be helpful, she said. There are some in Manitoba and Newfoundland and Labrador, but there is no national program for access to food for infants. Such programs are available in the United Kingdom and the United States, she said.